World War, 1939-1945 - Fiction. 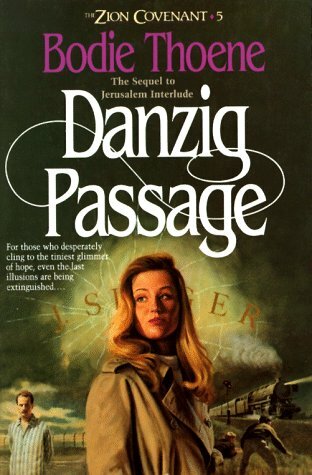 A boarded-up church, a dressmaker's shop, a "borrowed" apartment, a Vienna pawnshop, a locked train compartment are these places of safety before making it to the Danzig Passage or way stations to betrayal and destruction? The net of Hitler's Third Reich begins to close around the Jews in prewar Europe, and millions are trapped in his sinister web. Kristal Nacht, the Night of Broken Glass, shatters the last illusions for thousands who hoped to escape the Nazi terror. As the synagogues of Berlin burn and Jewish homes are plundered, two families face the grim reality of life in the New Germany. Anna Lindheim's sister Helen and her pastor husband Karl Ibsen are arrested for helping the Jews. 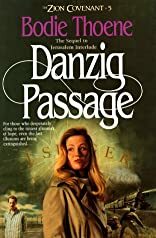 The Ibsen children, Lori and Jamie, must find a way to escape their Nazi pursuers and get past the iron gates that keep them imprisoned in the Reich. Young Peter Wallich, with his mother, sister and baby brother, faces the same dilemma. How can he, a Jew, get them out of Vienna to safety? How can they reach Danzig, the one place that offers hope, the promise of freedom? And then there is Lucy, in such desperate straits herself. How can she possibly help these children?